Good news! Following a successful Rain Barrel Event on July 22, the Prince George’s County Department of the Environment, the City of College Park, the College Park Committee for a Better Environment, the Plumbers & Gasfitters UA Local 5, and the City-University Partnership’s Sustainability Committee have extended the rain barrel sale to September 1, 2017. 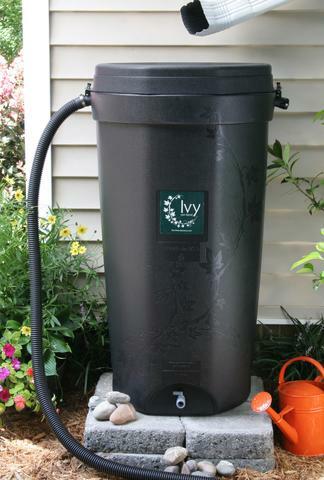 Those who purchase a rain barrel by September 1, 2017 can pick up their rain barrel on September 9, 2017. PICK UP DETAILS: Saturday, September 9, 2017 from 9:00 a.m. to 12:00 p.m. Note: Rain barrels cost $75, but using the Prince George’s County Rain Check Rebate, the only cost is for the gutter attachment! This discounted rate is only available until September 1, 2017 at 11:00 a.m. in order for you to take home your rain barrel on September 9, 2017. The Rain Check Rebate Program provides eligible applicants the opportunity to receive a reimbursement for installing approved stormwater management practices. Homeowners, businesses, and nonprofit entities in Prince George’s County can recoup some of the costs of installing practices covered by the program. LEARN MORE.